Deep drawers with side-to-side hang rails to accommodate letter/legal size hanging files. Single lock system secures all drawers. Durable finish helps prevent scratches. Deep drawers with side-to-side hang rails to accommodate letter/legal size hanging files. 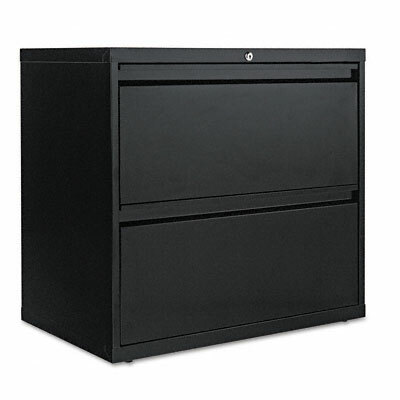 Reinforced double-wall drawer fronts provide extra stability. Single lock system secures all drawers. Leveling glides adjust for uneven floors. Durable finish helps prevent scratches.